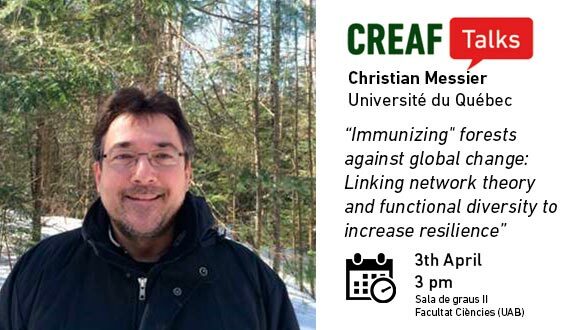 CREAF runs an annual programme of seminars that showcase the global research work in the field of ecological science both within and beyond our centre. Each seminar normally lasts 30-40 minutes with plenty of time afterwards for questions and discussion. Seminars are usually on Wednesday at 3 pm. Don't miss our Youtube playlist with all the CREAFTalks videos. “Immunizing" forests against global change: Linking network theory and functional diversity to increase resilience​"
"Dating young, old and death trees​"
Since Andrew Ellicott Douglas established the scientific roots of dendrochronology, the information stored in tree rings has been used in cultural heritage, climate reconstruction, fire history, and many more ecological areas. Originally Douglas started to build a chronology using living trees from forests. Later, he went backwards in time using wood material from historical buildings. One sample collected from historical buildings and labeled HH39, was the key to link the living trees to the historical wood patterns that were previously collected. Douglas highlighted the importance of this sample by saying that “in American archaeology is destined to hold a place comparable to Egypt's Rosetta Stone”. The first steps of dendrochronology were very much focused on building long chronologies and using those chronologies to date cultural heritage. Following the steps of Douglas, we have started a research project named INVISIBLE WOODS. The central aim is to screen the cultural heritage in Portugal, looking for hidden wood that can bring us insight the cultural and ecological history of the country. From the archeological sites at the riverfront in Lisbon, to the ceiling of the Convent of Christ in Tomar, and to the choir of the church of Santa Cruz in Coimbra, we travel through the challenges of finding and collecting wood, building and matching the tree ring patterns, to arrive at a date and a geographical origin of the wood. The search for hidden wood in cultural heritage is however not only for dating the structure in which it is embedded. It also serves to recover information on climatic conditions of the past and can be of ecological importance as such. The INVISIBLE WOOD project is a close cooperation between ecologists, archeologists, art historians, engineers and architects, a pure joy and a true interdisciplinary experience in which learning from each other and matching different mind frames are central. 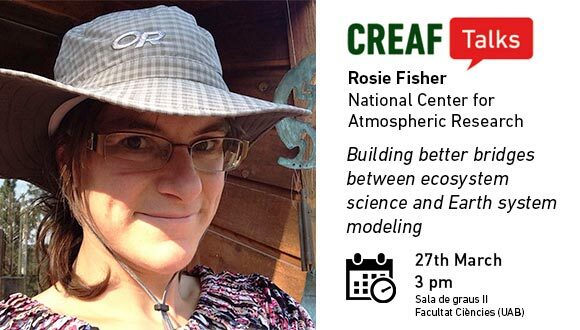 During the CREAF talk, I will present the project and its current state and I will discuss the methodologies for dating wood and the use of tree rings for historical and ecological purposes. 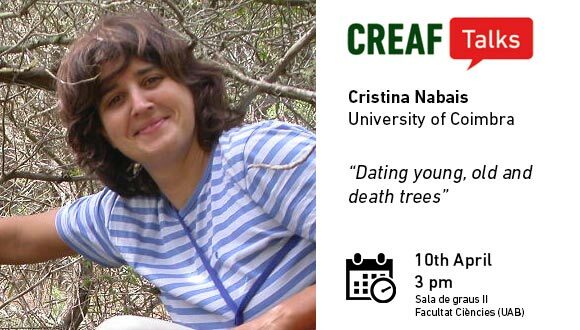 Cristina Nabais is a professor at the Department of Life Sciences at the University of Coimbra in Portugal. She coordinates the Dendrochronology Lab of the Centre for Functional Ecology, a research unit of the University of Coimbra. The MedDendro Lab has four main research areas: 1. Dendrochronology of Mediterranean species to extract climatic and other ecological information; 2. Xylogenesis of the Mediterranean pine Pinus pinaster Aiton. ; 3. Ecophysiological and wood anatomical responses of Mediterranean pines to drought; 4. Dendrochronology and Cultural Heritage.